let me take you all on a quick trip down memory lane. since what i understand as being the beginning of time, my favorite cookie in the world has been a super-thin-but-still-chewy cookie my little sister has made. the recipe is completely in her head and obviously top secret, but if i'm really lucky she will whip up a batch for me and they will be gone in less than a day. let's fast forward on this journey a bit to a few months ago when my lovely boss brought me back a cookie from a local coffee shop. it didn't look like anything special in its little cellophane baggy, and it was my first experience with a vegan baked good, but as soon as i took my first bite i was in love. these oatmeal raisin lace cookies are gorgeous, golden-y brown, and vegan-tastic. they are the perfect combination of my two favorite cookies and, i can now officially say, my cookie trifecta is complete. these cookies have two kinds of fat (earth balance and vegetable oil) and three different sugars (raw, brown, and a little bit of granulated). these all get creamed together until they're light and fluffy before the next surprise ingredient gets added. flax! yup, my favorite ground meal makes a return as a substitute for eggs. all it takes is a 3:1 tablespoons water to flax meal ratio and around two minutes of time for the magic to happen. here's what the batter looks like after the fats and sugars have been creamed and the flax meal has been added and beaten in. the batter will get a little fluffier at this point, just like if you had used actual eggs. cool, huh? 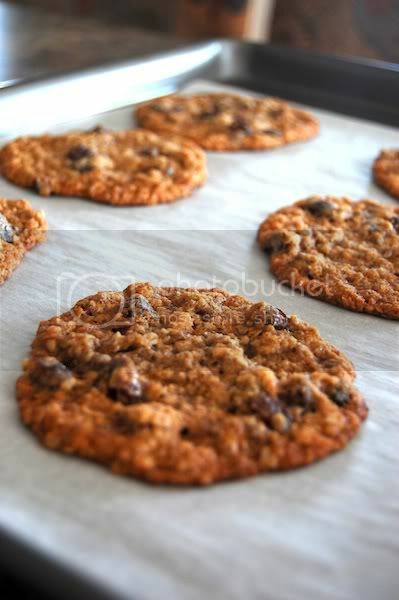 while you dream about how good these cookies are going to make your kitchen smell, here are some quick tips on how to maximize the deliciousness of this particular recipe. tip #1: soak your raisins in tap water for about an hour before you start baking. this will bring them back to life and make their flavor more pronounced. tip #2: these cookies spread a lot. like, a lot. my standard two teaspoon portion spread to cookies with about a four inch diameter, which fit around six to a cookie sheet. you could do tablespoon-sized cookies for a jumbo version, just make sure that you give these babies a little room to breathe. tip #3: i always find my vegan cookies to get soggy, a problem i'm still trying to figure out, but my solution to keep these crunchy was to leave them out in a single layer overnight. i actually never ended up bagging these at all because i was afraid their thinness would lead to quick breakage. if you have any ideas on how to prevent this minor issue i would love your advice! 1. preheat oven to 350 degrees and line baking sheets with parchment paper. 2. place raisins in small bowl and soak in room temperature water for the duration of the preparation process. 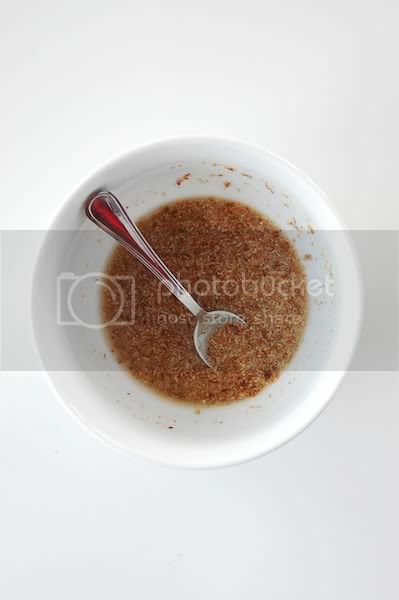 in another small bowl stir together 1 tablespoon flax meal with 3 tablespoons water and let sit for 2 minutes. 3. cream margarine, oil, and sugars with a stand mixer until light and fluffy. add flax mixture and continue to beat until fully incorporated. add vanilla. 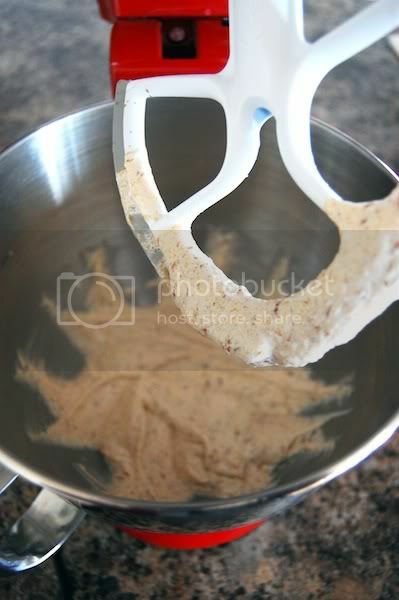 4. in a medium bowl whisk together flour, spices, baking soda and salt. 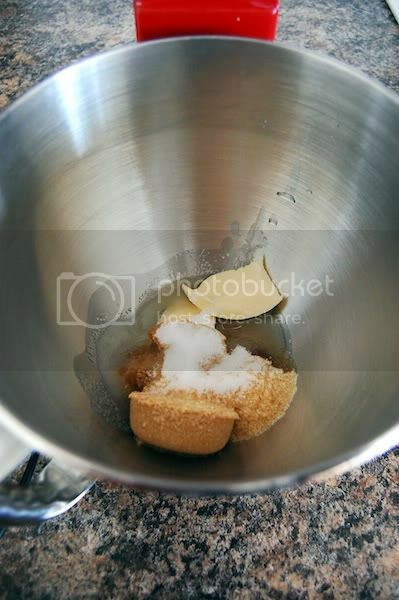 5. gradually add dry ingredients to wet ingredients until well blended. stir in oats and raisins. 6. drop dough onto lined baking sheets with enough room for spreading and bake for 10-12 minutes or until the edges brown and centers are set. 7. remove from oven and let stand on baking sheets for 4-5 minutes. using an off set spatula, run blade between cookie and sheet to loosen and transfer to wire baking rack to cool. calories: 100, fat: 3.77g, sodium: 54mg, carbs: 16g, fiber: 1.14g, sugars: 8.35g, protein: 1.74g. thanks for reading & happy baking! Hi Amanda! These look delicious! Can't wait to try them myself. 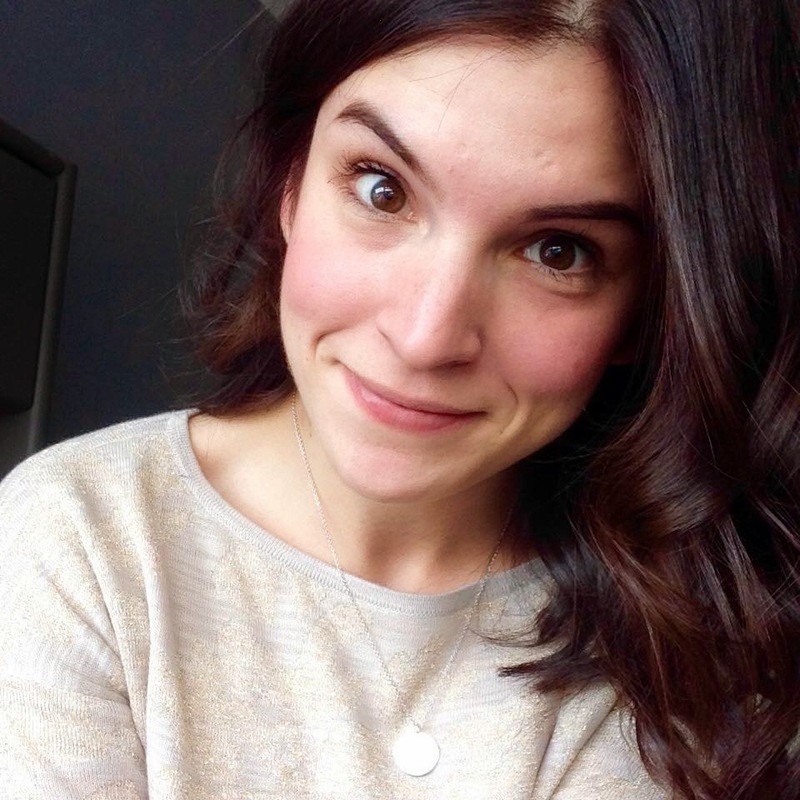 I know you have only recently started blogging, and I wanted to tell you what a fabulous job you are doing! Your recipes are excellent and I've bookmarked a good chunk of them to try out. I hope you continue to blog - I'll be following! thank you so much for your thoughtful comment! as a borderline newbie it is especially wonderful and motivating to have such positive feedback. let me know how the recipes turn out! Those look silly delicious! Can't wait to try them out! Oh shoot! 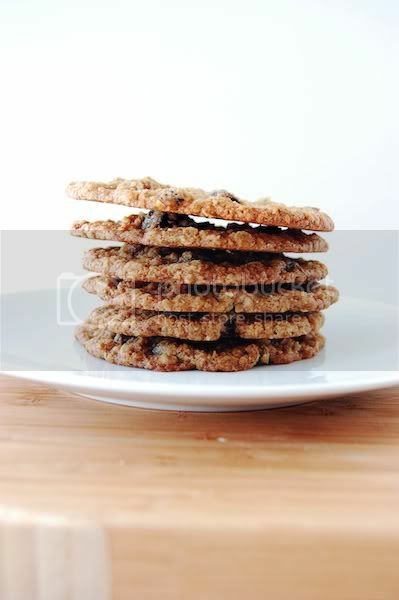 I was looking for an awesome vegan oatmeal raisin cookie recipe just yesterday to make some cookies for a co-worker. The ones I made were really good but I wish I had made these because I love a really flat cookie. Next time I'll be trying these for sure. will they come out alright if you dont use the flax seed? i'm on a mission to have my cake & stay healthy, too! comments, suggestions, requests? send me an email! girlwhobakes@gmail.com!